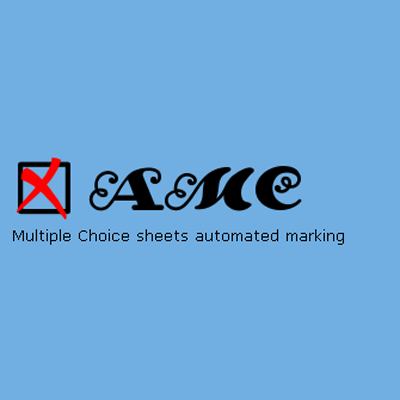 Auto Multiple Choice is a piece of software that can help you creating and managing multiple choice questionnaires (MCQ), with automated marking. AMC is a free software, distributed under the GPLv2+ licence. Utility to manage multiple choice questionnaires, with optionally mixed questions and answers. 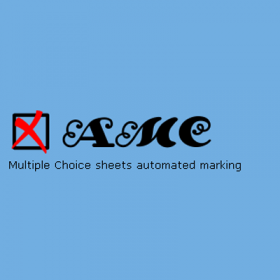 AutoMultipleChoice provides automatic marking from papers' scans. Annotated papers are produced. Marks can be exported as a OpenOffice.org sheet file.